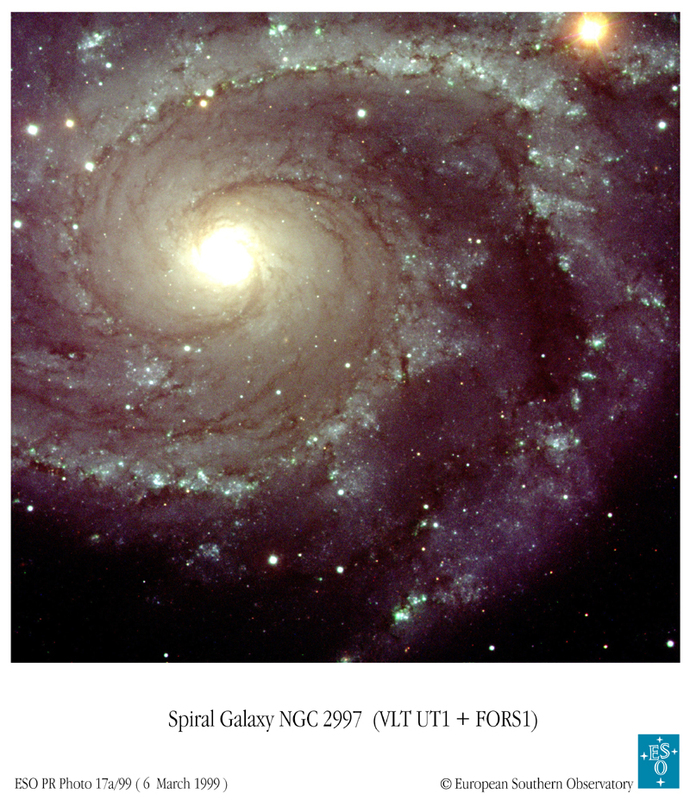 Opis: NGC 2997 is a grand design spiral galaxy. Its small nucleus and sprawling spiral arms give it a type Sc designation. 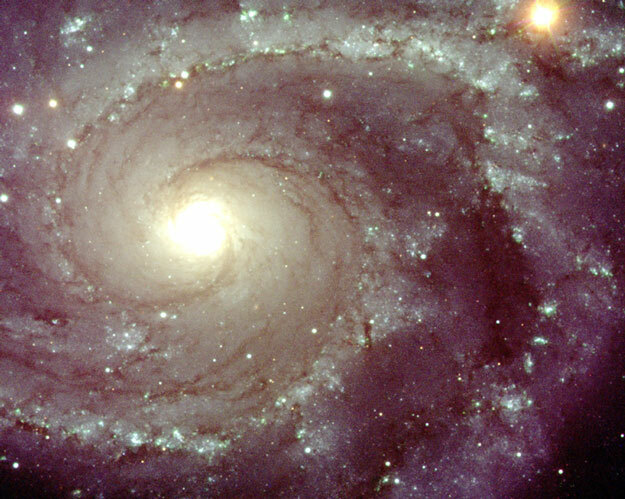 NGC 2997, pictured above, is speeding away from us at about 1100 kilometers per second, which would place it at about 55 million light years distant, given current estimates of the expansion rate of our universe. NGC 2997 is thought to have a mass of about 100 billion times that of our Sun, but is probably less massive than our own Milky Way galaxy. NGC 2997 is not seen face-on - it is thought tilted by about 45 degrees. NGC 2997 is particularly notable for a nucleus surrounded by a chain of hot giant clouds of ionized hydrogen.